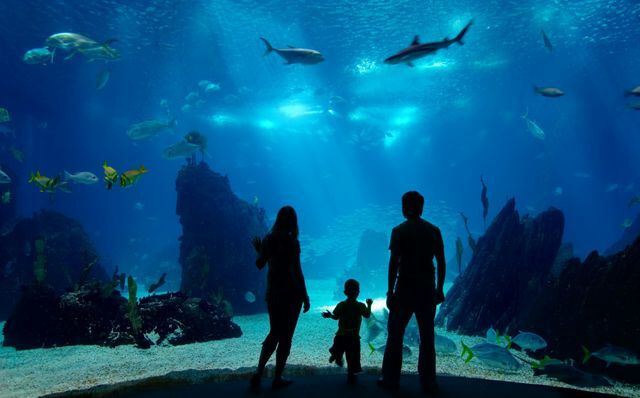 A 70,000 square feet aquarium has been financially secured for construction on the shore of Cleveland Flat’s west bank. The attraction is one of many new projects that the downtown area is launching in 2011, in hopes of revitalizing the once vivacious city center. Jacobs Entertainment will be building the aquarium in two phases. The first phase will occupy the current Powerhouse building and the second will be a new build with the grand total coming in at about $73 million. The aquarium will be designed by the international aquarium builders Marinescape NZ ltd. Their work can be seen all over Europe, Australia, Asia, and their home country of New Zeeland. The aquarium will have several exhibits and class rooms that will offer education and preservation opportunities. The aquarium’s stock plans are somewhat unknown as of now, but the future could hold some pretty big reefs for the Cleveland area. We will keep you posted as the development plans are made public.